Was the Crying Girl in Virat Kohli's Video Merely a Publicity Stunt? 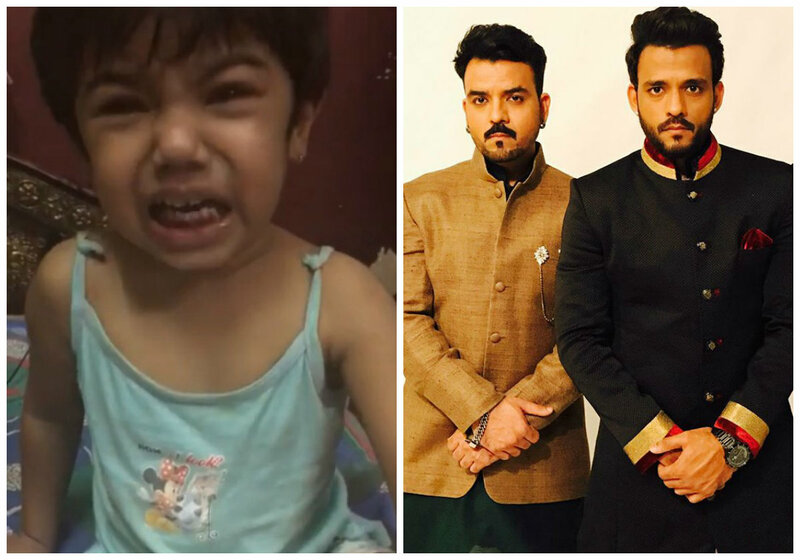 A few days back, cricketer Virat Kohli shared a video online where a woman forcibly teaches a crying kid and can be seen even slapping the child. The kid was seen showing emotions of extreme fear and anger towards the woman. Kohli and many others called out the woman in the video for terrorizing and traumatising the girl child in the name of education. The little one has now been identified as Bollywood singer-composer Toshi Sabri's 3-year-old niece, Haya. In an expected turn of events, Toshi has tried to come to the rescue of his sister by the asking the viewers including Virat Kohli, to not be judgmental and to understand how hard it can be sometimes to raise children. He went on and blamed the little girl for being moody by nature and saying that kids sometimes need to be pushed for their own good. And that's not even the strangest part of the story. The most crucial point to note here is that the mother in the picture has chosen to stay mum on the entire matter. And whether she shares Toshi's views is an altogether different tale. What holds the future for Haya is unknown to many. But Toshi Sabri is a name that has become known to everyone after the entire ruckus! Genuine care for the child or a publicity stunt - we'll let you decide!